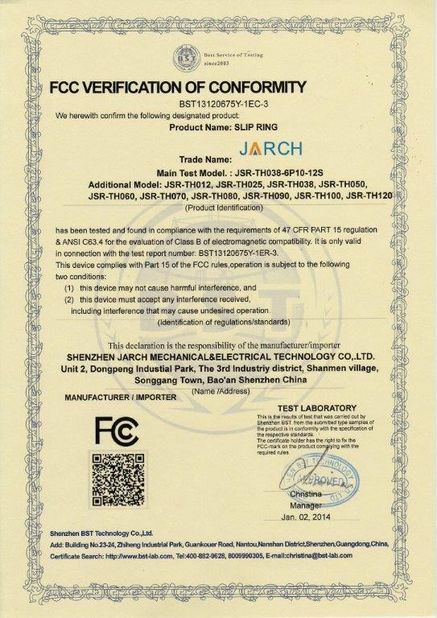 JARCH capsule slip ring products are widely used in a variety of smart devices ,among diverse work rotating electrical systems: such as medical equipment, chemical reactor equipment, lifting gear equipment, CNC machinery equipment, wind power generation equipment , smart appliances, optical communication equipment, wire stranding equipment, robotics, robotic arm, the revolving door, model aircraft, aviation, automobile, shipbuilding, machinery, packaging machinery, lighting display equipment, recreational facilities, mining equipment. 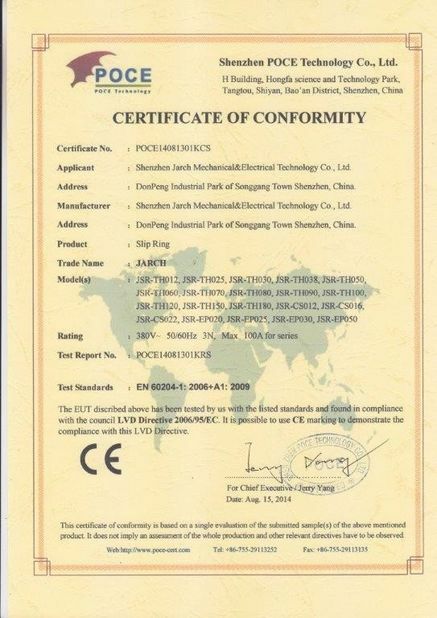 Our company has long provided conventional slip ring products and special slip ring for the development of well-known manufacturers of domestic production. 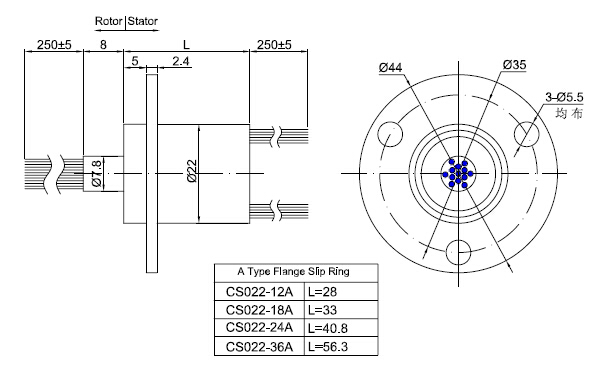 The CS series capsule slip ring is a standard and off-the-shelf unit that uses gold contacts on the rotary interface. Color-coded lead wires are used on both the stator and rotor for simplifying electrical connections. 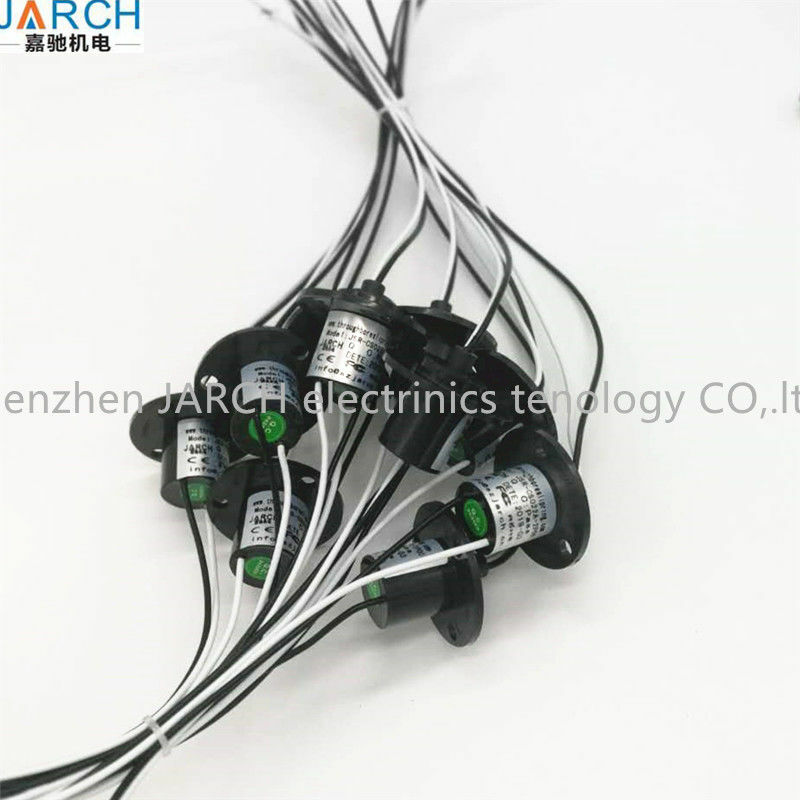 The CS022-3P10-5S it using a 90° V-groove ring design for each ring and provides smoother running, lower torque and lower electrical noise than competitor slip rings.